Sam Armytage dating: It's not as glamorous as you might think. 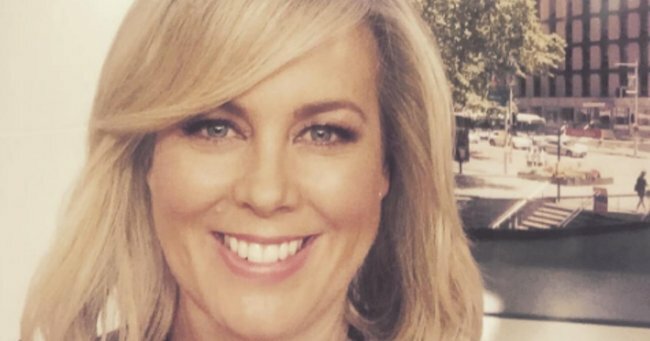 Sam Armytage shares why she'll never be able to have a normal date. When we want to meet someone, it’s all about that slick of red lipstick, some killer stilettos and a swanky bar. But when Samantha Armytage wants to meet someone, it’s more about the baseball caps, dark corners and quiet restaurants. Swapping slingbacks for snapbacks is all part of the life in the spotlight apparently, with the TV presenter blaming her casual getup on the constant media attention she receives. ‘I do go out on dates, just very discreetly…But that’s fun,’ she told Woman’s Day. The media personality recently admitted that she’d love to meet that special someone and start a family as soon as they settled down. Last Sunday Sam announced she wouldn’t be participating in Seven’s on-location coverage of the Olympics in Rio de Janeiro. She cited her desire to start a family as the reason for pulling out, with experts advising women who become infected to not get pregnant until two years after falling ill.
‘I am questioning whether I should go…I rang our Seven team doctor and some specialist doctors in Sydney who I know and respect, so I have lots of different viewpoints,’ she told The Daily Telegraph. While it’s a shame she won’t witness our Aussie athletes smashing a record or two, it frees her up for some more of those quiet-corner dates. If we were you Sam, we’d start expanding our cap collection.